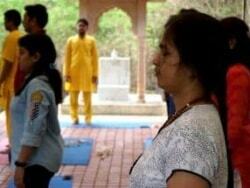 Talking as a devotee: does exercise have any relevance to the spiritual path? If mind is superior to body, why should one bother? I think that exercise is not only good for devotees, but that it’s good for everybody. Of course, we all have busy lives, but I would like to give out some points on why it is important to make time for it, and especially for a devotee. Let’s actually start with the question: why is it good for everybody? Exercise can be overdone, like any other thing, but what we may call proper exercise is something that brings more energy into your body than what you spend. 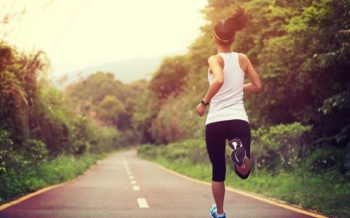 Let’s think of something like a long walk, a mild run, cycling, or maybe a short round of swimming; you go into such an exercise and you come back feeling more full of energy, of vitality, your mind is clear, your appetite improves, and so on. Nowadays, if you look at children, there is a situation which has gained a lot of prominence called Attention Deficit Hyperactivity Disorder (ADHD). Spiritually, as we know, we are currently in a higher age, Dwapara Yuga, the age of energy. Kids of this age, also as you know, are high energy children in a high energy environment. Now, if we don’t know what to do with their energy, if we don’t take them outdoors to run and exercise, they will express it in one form or another, and perhaps if they are really bottled up physically, this may express itself as a mental derangement in the child. And if a teacher has too many of such children in a class, that may bring many problems. This is an issue in many schools, at least in India: you don’t have enough space. So, where do kids play? Where can they really give an outlet to their energy? That was for children. But if we come back to devotees, some benefits of exercise come to my mind right away. Paramhansa Yogananda ji said that we cannot ignore the physical body. We have a physical, an energetic, and a causal reality, and often we kind of try to make a leap straight to the highest. It’s almost natural to try to bypass the lower, why waste time? But… if only it were so easy! We have to respect the physical laws, and part of those physical laws, in connection to health, is to get proper exercise. Yogananda ji said that we have to break a sweat every day. But we could, let’s say, do it a few times a week at least. Having a deep breath-holding capacity gives you the scope of having a better pranayama, which also reflects in our behaviour. On a further note, there is a lot of research about how exercising directly affects your prefrontal cortex, which is also the point that is benefited the most by meditation. Our personality, our positive qualities, our attention, our long-term memory – which is situated in the hippocampus, – all of these are affected by exercise. One more thing: as devotees, we sometimes tend to want to reduce the length of our journey in this world, but we are also living longer and longer, as the life span is increasing! As the life span increases, the parts of the brain that are mostly affected by neurodegenerative diseases like, let’s say, Alzheimer’s, are the prefrontal cortex and the hippocampus on the side of the brain. Now, they have found that, in people who regularly exercise 30 minutes a day, four times a week, these two body parts are extremely healthy. They even found that the hippocampus was developing new brain cells! So, again, for a healthy brain, whether we are a devotee or not, these are very good things. And of course, exercise also helps our immunity: it has been directly found to reduce the risk of cancer and such. I think it’s a good thing for everybody to take up. I’m getting very inspired! 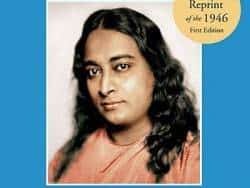 But we, as devotees of Paramhansa Yogananda, have Yoga Asanas, and even more, we have the Energization Exercises, which do break a sweat, and it does so very effectively. Why is that not enough? 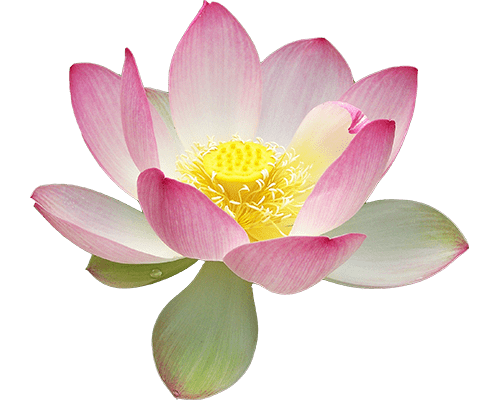 Well, there’s no question that these techniques which Yogananda ji taught are very superior. In fact, the more I read about medical science, the more I appreciate the simple techniques he has given us and their profound teachings. So, absolutely, I don’t think we should replace anything. I think devotees should continue their energization and meditation and yoga practices. There are also some people who, for example, cannot run: energization is great for them; yoga is perfect for them to whatever degree they can do. But for most people, exercise is an add-on. 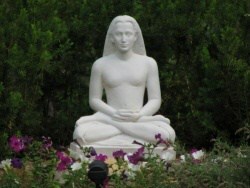 Yogananda ji recommended to exercise in addition to his techniques. It’s a nice way to start the body… and the body also goes through phases. Let’s say you are doing a lot of mental work – you need to balance it with a walk. 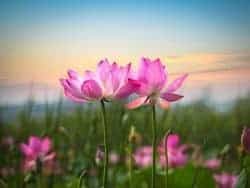 Yogananda ji recommends, for example, to go out for a walk on a nice morning and take in some fresh, crisp air; he says all illnesses can be healed by that. So, more traditional exercises are just a nice thing to add to the techniques that he taught. They are complementary, not exclusive. So, I imagine you yourself exercise. How has it helped you as a spiritual seeker? I used to exercise a lot and very regularly until I was in college, and then, as they say, life happened. You get busy in studies or work, or subconscious tendencies take over. Your mind tells you, “you don’t need to exercise, you are healthy enough,” which may be true for a while, but only because you’re young! Of late I’m focusing once again on physical exercises, and I’ve been seeing many benefits. First of all, my sleep has immediately become better and deep, more relaxed; furthermore, there are no lingering thoughts in my sleep, as though the subconscious mind somehow also goes into deep rest. Secondly, I have much more energy and vitality. The first few weeks, of course, were difficult because my body was regaining the stamina required to exercise. 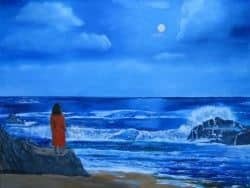 But if, in times when I was feeling “I just can’t wake up,” I got up anyway and went for a walk, then I could continue through the whole day, because I opened myself to that flow of energy: deep breathing happens, diaphragmatic breathing happens, and as a devotee, I can apply those principles consciously. 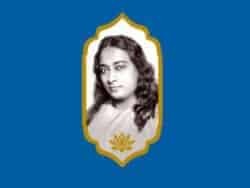 Yogananda ji said, “Don’t do any exercise absentmindedly. Don’t do it mechanically.” That is an important aspect to watch, and Swami Kriyananda ji would repeat it. When you’re walking, do it with deep attention, and listen to your body; be aware of the pace at which you’re going, of your breath… things like that. One other thing is that my appetite got better, I’m losing weight, I feel lighter in my step… those are some of the things I’m experiencing right now. Very nice. Could you give a final message? 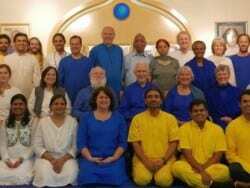 What would you like to say to everybody – every devotee – about this topic? Any way you want to wrap it up? See, I think that, as more and more information is coming out, it is good for all of us to know a little bit more how our body functions, and not just from a yogic perspective, but from a physical perspective. When your body exercises, your brain becomes healthy, perhaps your eyes and your thyroid glands get better, your bones are nice, your posture is nice. If your posture is good, then your breathing becomes better. As you exercise, your digestion becomes extremely nice and strong, also. So, I think that, if everybody could include 20 to 30 minutes of exercise in most days of the week, they would quickly be able to see the results. All of this on top of their yoga practices. W.H.O. brought out the research three years ago that a twenty minute walk per day increases your lifespan by four years, and those are good four years because you are more energetic as a result of exercising! Think about it, because the inverse is also known: if we are extremely sedentary, it is like smoking. In fact, “Sitting is the new smoking” was a motto on Apollo hospital six years ago! It was based on actual research. So, when we exercise we are living longer, and we all need to live longer because we want to accomplish more, we want to be healthy… and that is good for everybody. And if we can inspire one another to do so, it would be a great service. We are organizing a Walkathon in January called “Be the change”, and through that we hope we can do just that. Thank you Aditya for this healthy inspiration! Very inspiring and informative article Aditya ji. Very Inspiring .Hope to get regular with Walk…. Really very inspiring and informative. All sooo true, and simple. We just have to put it into action and let us admit; not always thát simple. Strength and courage fill our body cells! Aum. Thank you Aditya ji for extremely useful information. Starting physical exercise need strong will power. May God give everyone will power and strength to start physical exercise in new year. It is not only the quantity but quality of life is equally important for everyone. Very informative; essential for everybody. . . Thanks a lot ! How timely for me! I have just begun swimming … after a lengthy hiatus in exercise that began with an ankle injury nearly two years ago. It’s never too late to get “back in the saddle!”. Thank you for this inspiring message! Very inspiring! Thank you, Aditya ji! I can appreciate the article. Thanks. Paul said that the body is the temple of the spirit. Thus working out is an act of worship and car for God’s temple. Well said! I energize every morning and exercise at least 30 minutes 4-5 times per week. has made a world of difference in energy level despite my advancing age. Will definitely have your advice in mind always and will keep up with my routine! Mindful exercise is very beneficial not only to maintain good health but also to recover fast from any trauma or illness. Thank you for all the information.I exercise 15 minutes in the morning everyday and walk 20/ 30 minutes everyday.shall now start my breathing excercise while i am walking. I have High Blood Pressure. I understand that not only is regular exercise necessary, but also that the exercise be varied. Working on it. Well said and presented. I often recommend exactly this to newcomers onto this path as well as long-term devotees. By the way, WHERE you exercise and WITH WHAT CONSCIOUSNESS is very beneficial. Exercising the body with mantras recited aloud or in japa makes one’s time in their body-mind temple a holy uplifting expansive act, purifying body, mind and soul. Moving in Nature not only allows us to receive the satvic blessings of prana from air, soil and creatures, but returns the love and gratitude moving through us to the land and fellow creatures. Holy sites, man-made or natural, like Ananda Village, carry the higher vibrations of saints, sages and lovers of God sauntering their paths.